A healthy diet plan should consist of nutrient-rich foods from the main food groups. The foundation of a well-balanced meal plan should consist of fruits and vegetables, complex carbohydrates, lean proteins and healthy fats. Fish is often encouraged in the diet as it is high in protein and omega-3 fatty acids. However, if you're vegetarian or don't like fish, you will avoid it. A good diet plan can include foods other than fish to satisfy your health and appetite needs. You need healthy fats in your diet for normal body functions, hormonal balance and the absorption of vitamins. Eliminate or reduce unhealthy fats, such as saturated and trans fats, as they contribute to hardening of the arteries which increases the risk of heart disease. 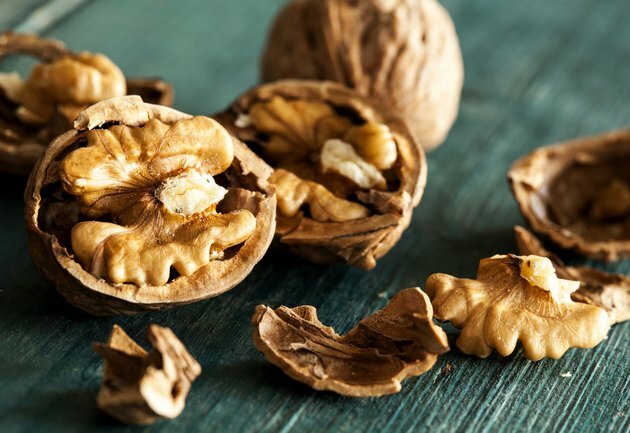 Instead, polyunsaturated fats, including omega-3 fatty acids, decrease the risk of cardiovascular disease, decrease symptoms of depression such as low mood and may help prevent age-related memory loss and dementia. Although fish are the richest source of these fats, you can also get them from walnuts and several unheated oils such as corn oil, sunflower and flaxseed oils. Fish is a rich source of protein, which your body needs for growth, repair and maintenance of muscle. Too little protein in the diet may lead to loss of muscle mass, weakness, decreased immunity and lowered heart and respiratory functioning. Fish is not the only source of this essential nutrient, you can also eat lean meats such as chicken, turkey, lean beef, lamb and bison, which are lower in calories than their fatty counterparts. While some vegetarians eat eggs, fish or dairy, vegans do not. If you're a vegan, you'll need to get your protein and fat requirements from beans, such as black, navy, pinto; chickpeas, lentils and legumes; and several types of nuts including almonds, cashews and pistachios. Soy products such as tofu and tempeh are other alternatives to fish. In addition to healthy fats and protein, a good diet plan should include complex carbs in the form of fruits, vegetables and whole grains. Carbs are the main source of energy for the brain and body and are a source of essential vitamins and minerals including the B-vitamins and niacin, which aid in energy metabolism. They are also a source of dietary fiber which helps fill you up and contributes to a healthy digestive system. Include a variety of fruits and vegetables with every snack and meal and select whole-grain breads and brown rice over their white flour and grain counterparts.